Image: Theo Wargo/Getty Images, Ray Tamarra/Getty Images, Bobby Bank/Getty Images, Alexander Spatari/Getty Images. Design: Ashley Britton/SheKnows. Each year, people flock to the streets of New York City or crowd around the TV from the coziness of home to watch one of the most highly anticipated events of the year: the annual Macy’s Thanksgiving Day Parade. Since its inception in 1924, the parade has become a holiday tradition held in the utmost regard. (Fun fact: The first Macy’s parade was actually held on Christmas Day!) It’s become as integral to Thanksgiving as turkey and cranberry sauce in American households. While the parade was originally designed as a clever marketing gimmick to bring new customers to Macy’s, it’s evolved into a symbol of the season. So, it’s not surprising that celebrities can’t resist the nostalgic allure of this special event, either. Past celeb performers include Tony Bennett, Ariana Grande, Whoopi Goldberg and Shawn Mendes. This year's parade will feature stars like John Legend, Diana Ross and Martina McBride as the main headliners. While we wait for those 2018 celebrity appearances, take a look at a few celebrities who have participated in the parade over the years. A version of this article was published in November 2017. 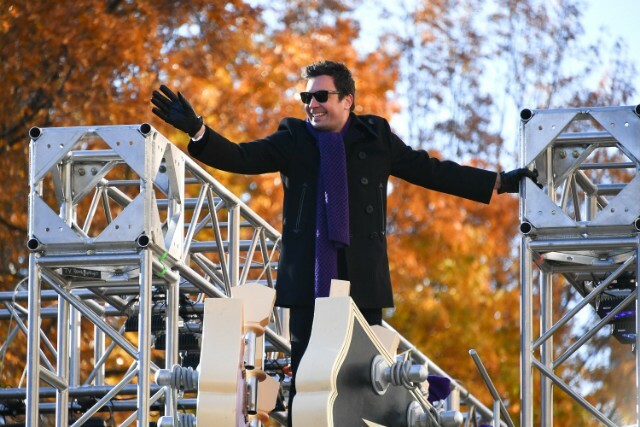 Jimmy Fallon and the Roots decided to cover a Prince song at the 91st Annual Macy's Thanksgiving Day Parade. However, Fallon singing "Let's Go Crazy" left some Prince fans less than amused by the tribute. 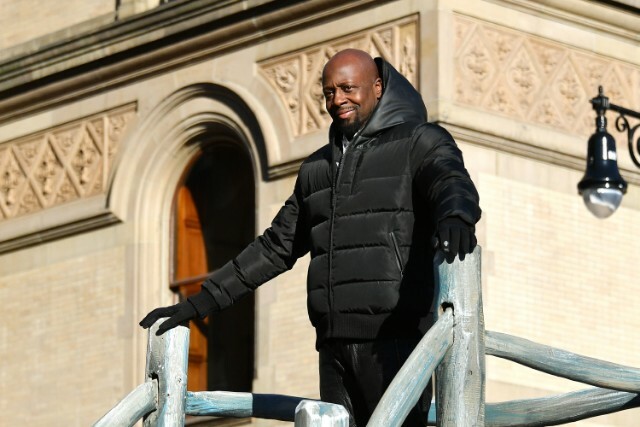 Wyclef Jean performed "What Happened to Love" on the NHL Thanksgiving Showdown float in 2017. The snappy tune was enhanced by the players dancing around the float with their hockey sticks. 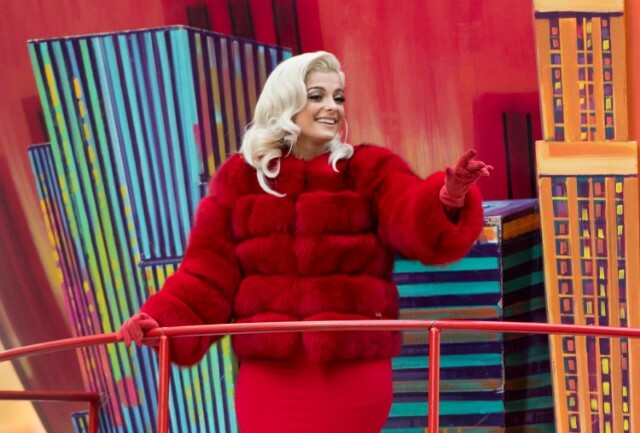 Bebe Rexha sang "Meant to Be" as a solo at the Macy's Day Parade in 2017. Normally, the song features Florida Georgia Line, but she handled the parade duties alone that year. How do you follow up a Tony Award win for Hamilton? 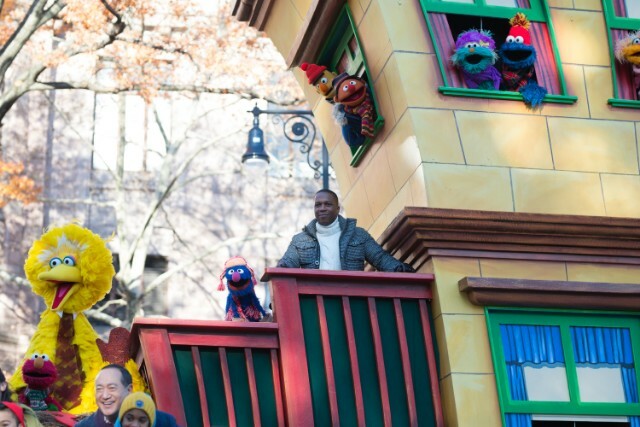 Leslie Odom Jr. performed with Abby Cadabby, Elmo, Big Bird and Grover at the 91st Annual Macy's Thanksgiving Day Parade. Flo Rida returned to the parade in 2017 after singing a duet with StayC Reign in 2012. 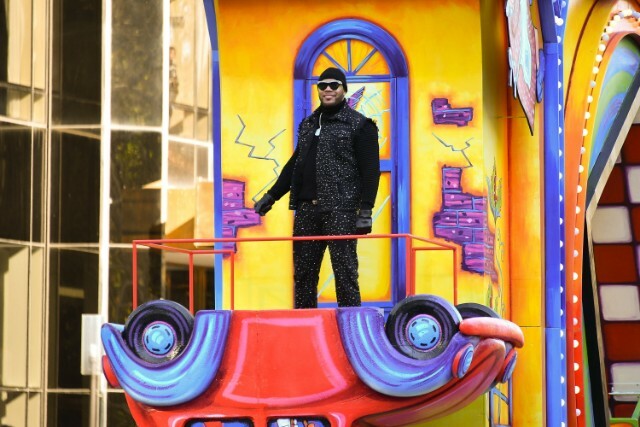 Flo Rida went solo the second time around and sang “Hola” while riding the Krazy Glue float. Kat Graham proved she truly is the right fit to play the iconic April O'Neil on the Nickelodeon reboot of Teenage Mutant Ninja Turtles. As the first Black actor to play the role, she also had the honor to sing “Magic” in the parade in 2017. 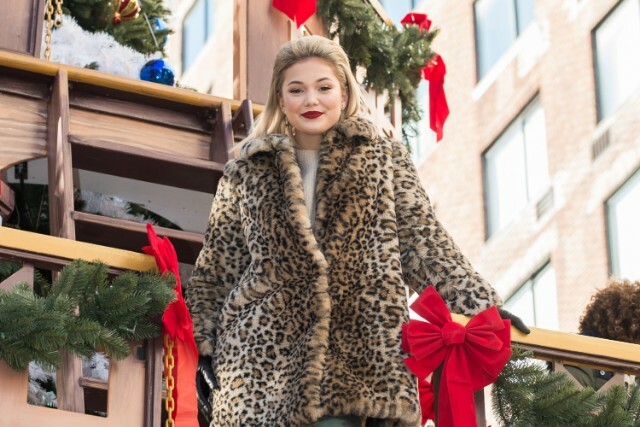 Olivia Holt got everyone into the Christmas spirit with her single “Christmas (Baby Please Come Home)” at the 91st Annual Macy's Thanksgiving Day Parade. The float featured dancing ornaments and presents to bring that holiday cheer to life. Ariana Grande did her best to stay warm during the 87th Annual Macy's Thanksgiving Day Parade, where she performed the song "Last Christmas." 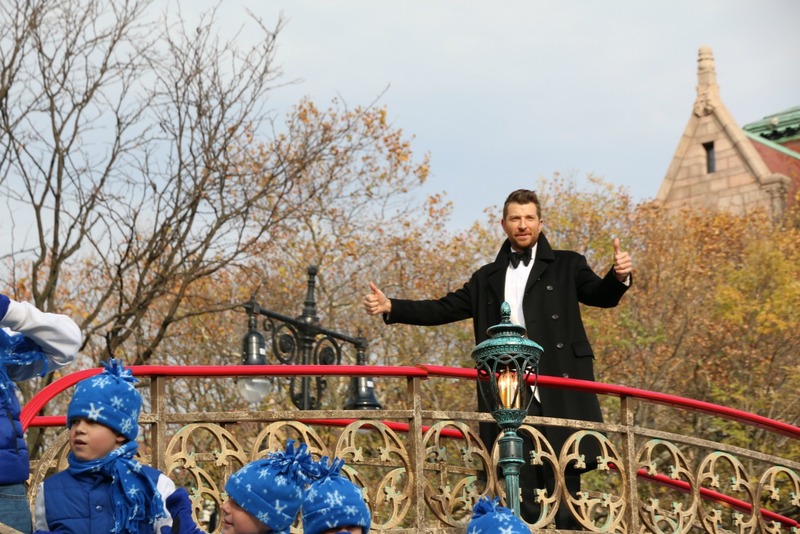 Looking dapper at the 87th Annual Macy's Thanksgiving Day Parade, country crooner Brett Eldredge belted out the holiday classic "Let It Snow." 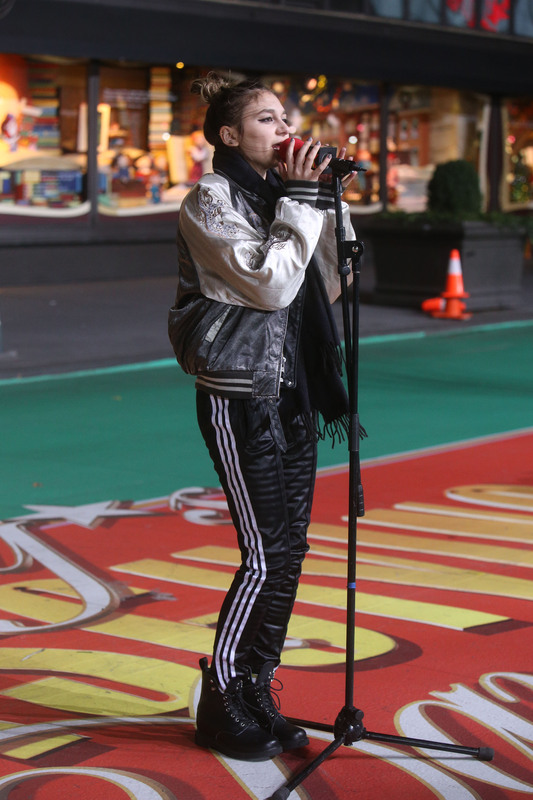 Carly Rae Jepsen rocked the Macy's Thanksgiving Day Parade in 2012 by performing her hit single "This Kiss." Bonus? The singer made fighting off the frigid air look stylish in a chic eclectic ensemble. Not many people could stay focused atop an NHL float surrounded by men on unicycles juggling. But Daya did and then some at the parade in 2016, where she slayed while performing her song "Words." 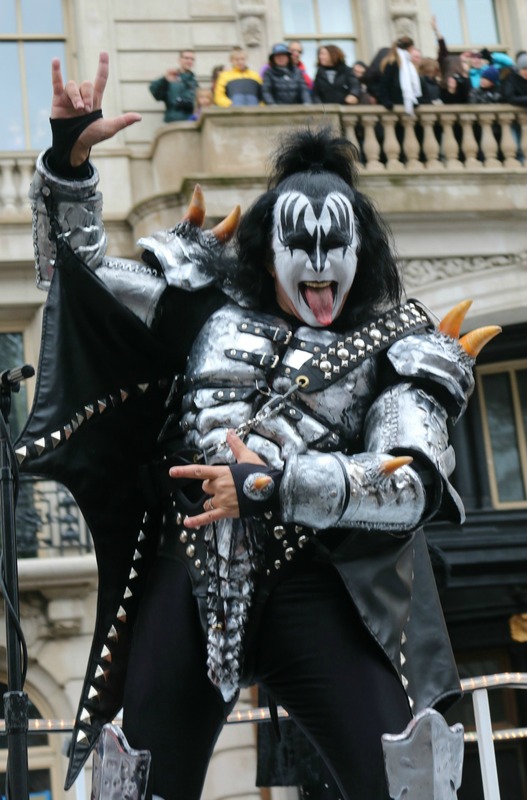 It's not a real party until Gene Simmons sticks his tongue out! The rocker and the rest of the Rock & Roll Hall of Fame band Kiss drove the crowd crazy performing their classic "Rock and Roll All Nite." 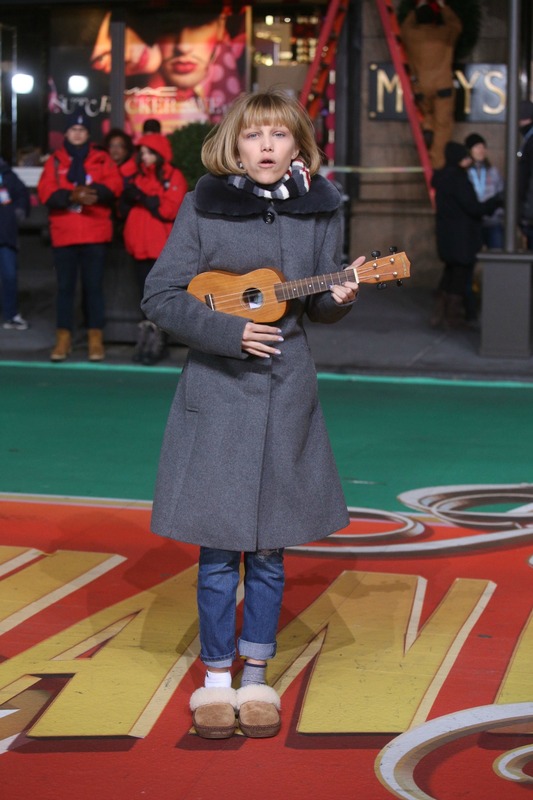 America's Got Talent winner Grace VanderWaal rode atop the Goldieblox float in 2016 while strumming her trademark ukelele and singing "I Don't Know My Name." Image: Dennis Van Tine/Future Image/WENN. 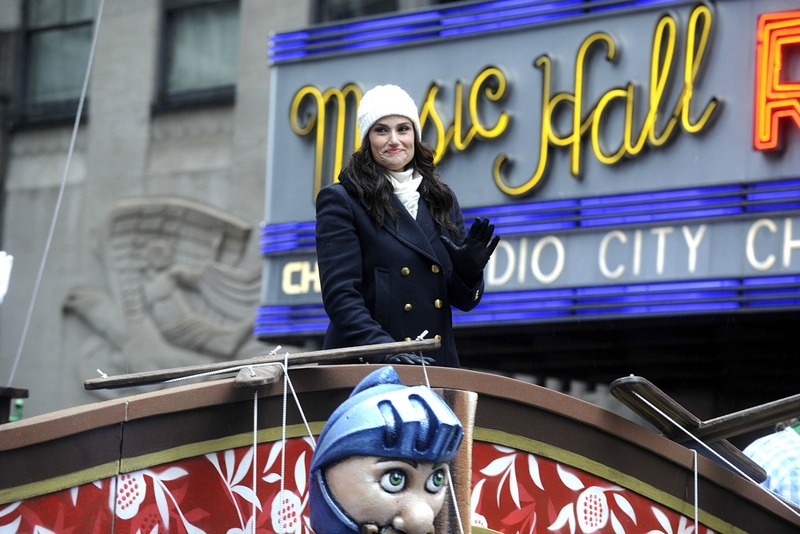 Idina Menzel, the voice of Frozen's Elsa, did her best not to, you know, freeze during her rendition of "All I Want for Christmas Is You" from her album Holiday Wishes. Sam & Cat star Jennette McCurdy cruised along on the Goldfish float for her first parade appearance in 2012. Disney star Debby Ryan told MTV of riding on a float in the parade, "It's crazy and surreal and definitely one of those bucket-list moments." Jordin Sparks wasn't going to let frigid temps keep her from delivering a stellar show! The singer got the crowd moving with her upbeat performance of "Right Here, Right Now." Wearing Badgley Mischka and looking every bit the belle of the ball, country cutie Kellie Pickler sang her twangy hit single "Little Bit Gypsy" at the Macy's Thanksgiving Day Parade in 2013. Country superstar Jennifer Nettles couldn't have picked a better song to perform during the 2015 Macy's Thanksgiving Day Parade. 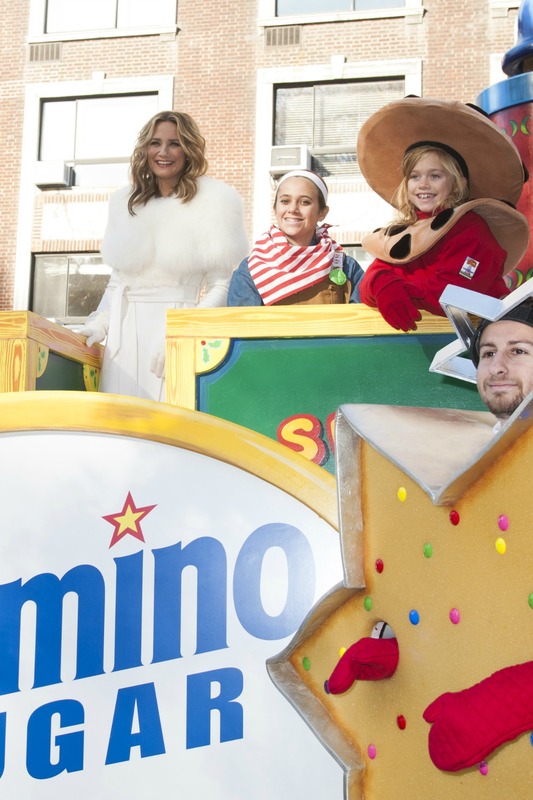 While riding the Domino's Sugar float, she belted out her hit single "Sugar." Cute! 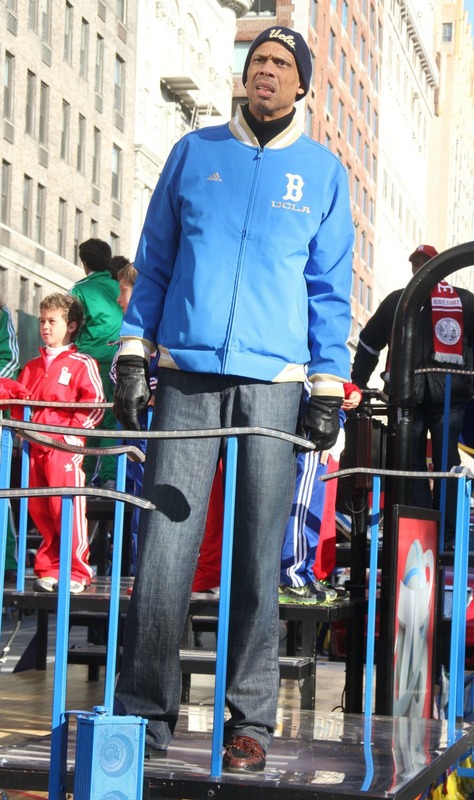 NBA legend Kareem Abdul-Jabbar marched in the festivities at the 85th Annual Macy's Thanksgiving Day Parade. 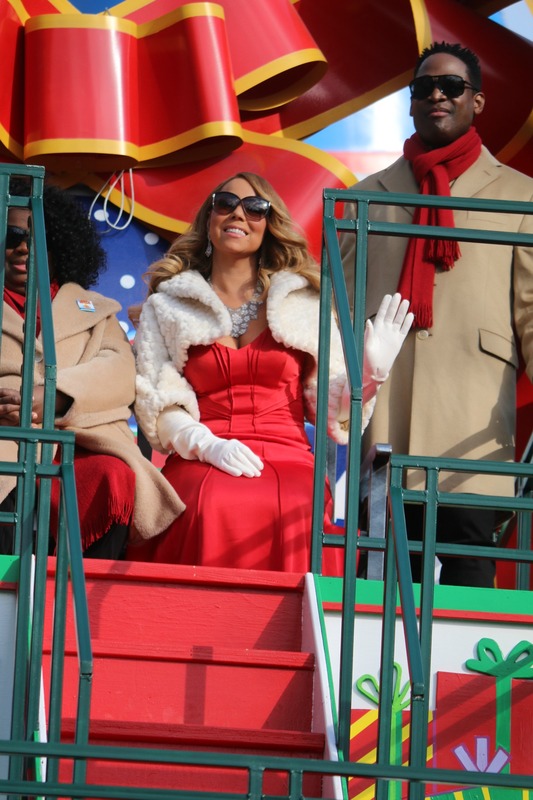 Although Mariah Carey looked like the Queen of Christmas at the parade in 2015, fans had a fit after she reportedly lip-synced her way through the OG version of her holiday hit "All I Want for Christmas Is You." Country darling Kelsea Ballerini dazzled at the parade in 2016, where she delivered a stunning performance of her smash hit "Peter Pan." Petite powerhouse Kristin Chenoweth is an endless source of entertainment, as evidenced by her super-spirited performance of "New York, New York" at the Macy's Thanksgiving Day Parade in 2013. Pop princess Meghan Trainor didn't disappoint at the parade in 2014 with a fun and feisty rendition of her hit single "Lips Are Moving." 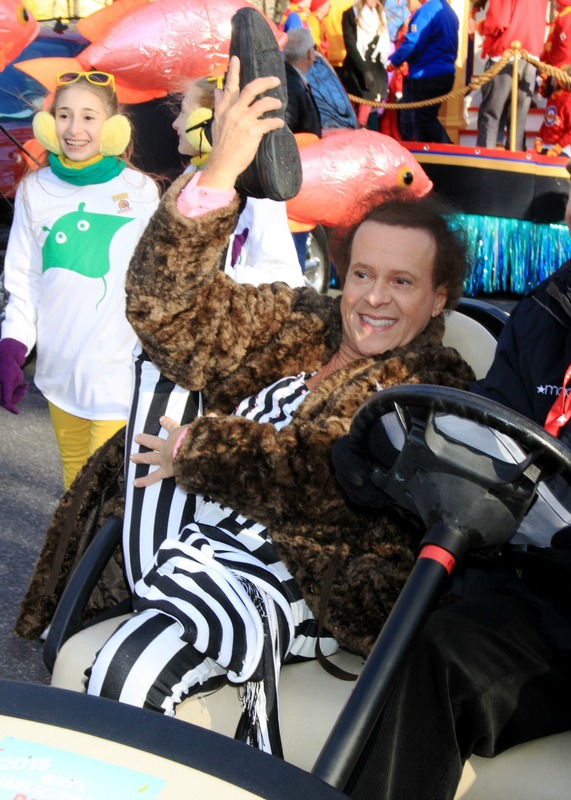 Exercise guru Richard Simmons couldn't contain his excitement at the Macy's Thanksgiving Day Parade in 2013, during which he did cart aerobics and gushed over Kellie Pickler. 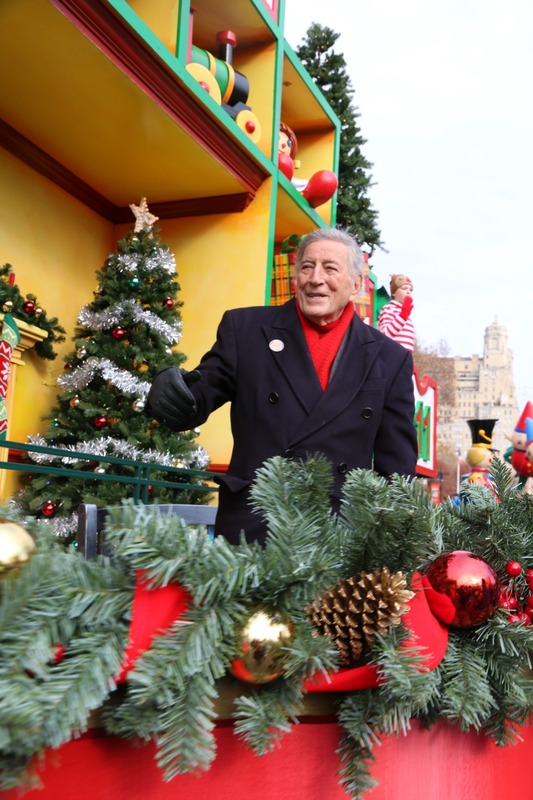 You know it's a good day in the universe when icons Tony Bennett and Miss Piggy team up for a performance of "Santa Claus Is Coming to Town." 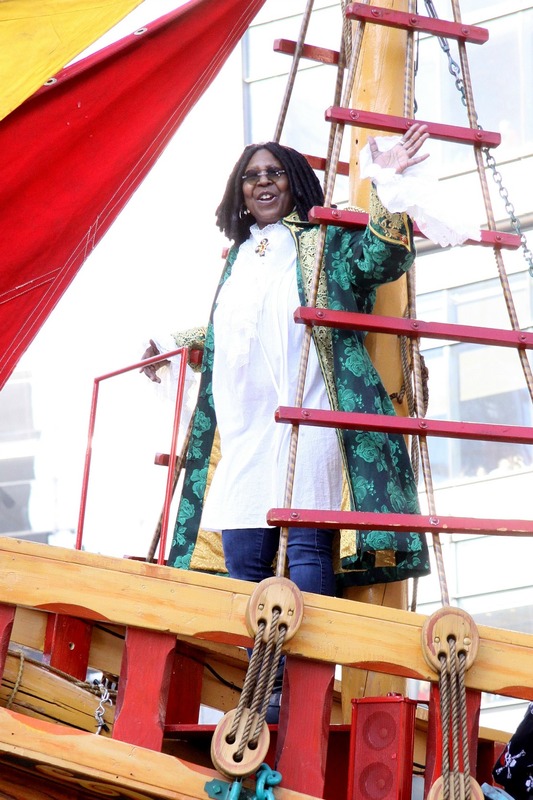 Whoopi Goldberg took a break from her cohosting duties at The View to partake of this classic holiday celebration by greeting parade-goers from atop a festive float. 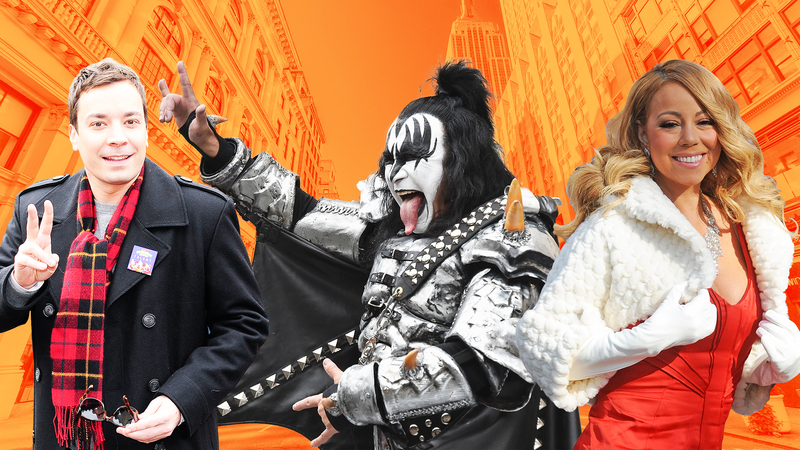 Country officially came to town (aka NYC) for the 86th Annual Macy's Thanksgiving Day Parade! 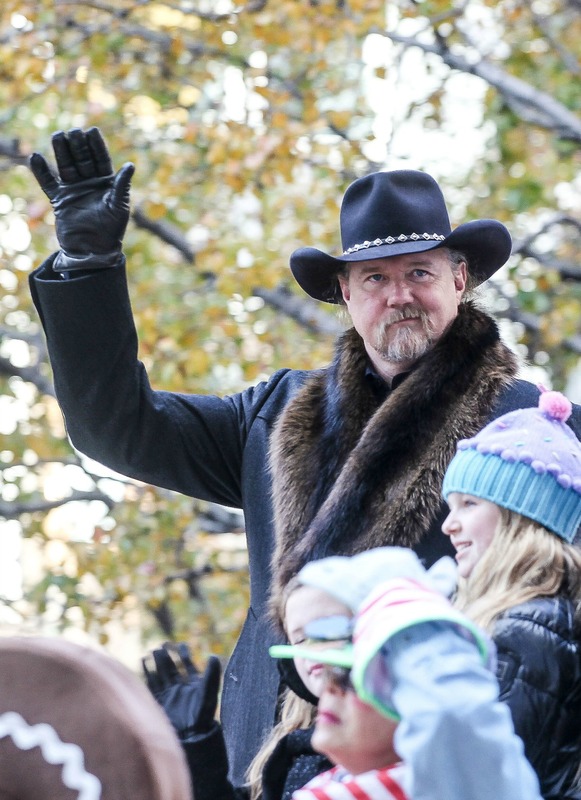 Trace Adkins and a slew of other top county stars performed on the special day. Zendaya made herself at home on the Build-a-Bear float, where she introduced her single "Dig Down Deeper."